The very first wedding venue I worked at in the New York area was the Lighthouse at Chelsea Pier. 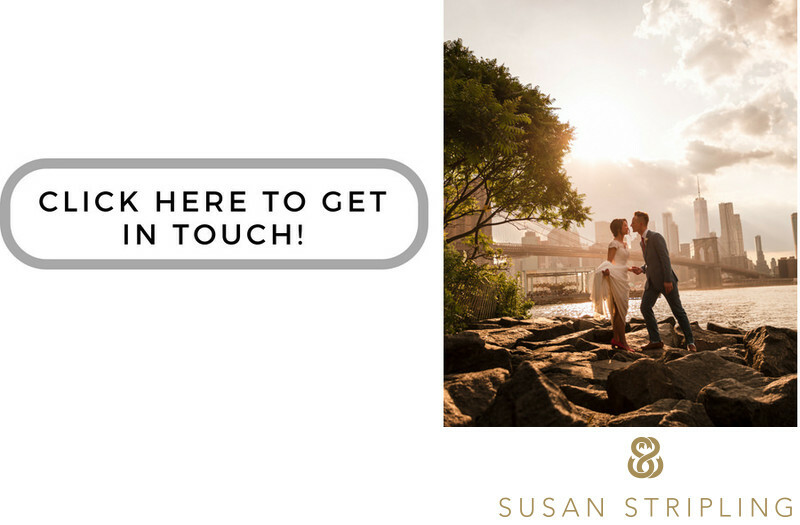 I was a photographer in Florida at the time, and was hired to come up to NYC and photograph a wedding at this popular Manhattan venue. Little did I know at the time that I'd move to the city only a few short years later, and that the Lighthouse would become one of my favorite venues to work at? As a wedding photographer, my job is to stay creative always, at every wedding, whether or not it's my first wedding or my five thousandth wedding. 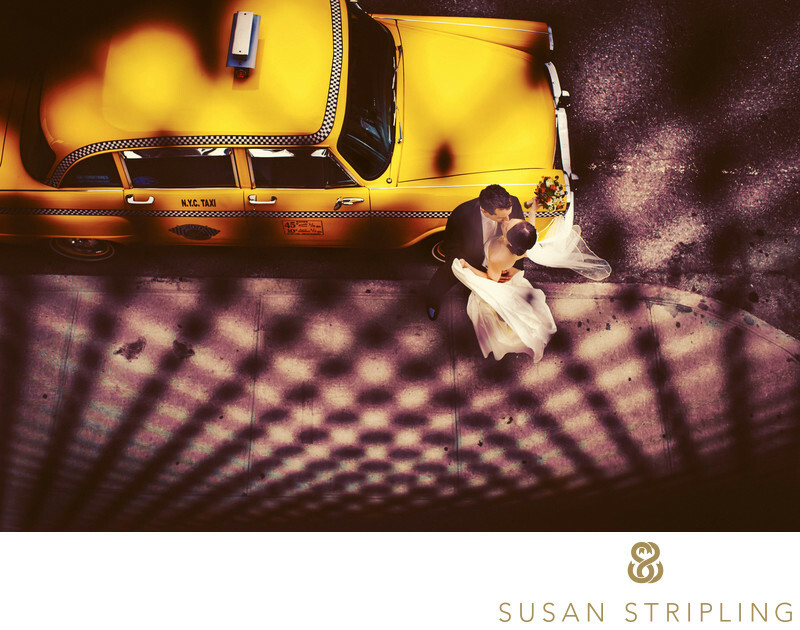 At this particular event, I was immediately intrigued by the vertical lines of the Manhattan building outside of the bride's getting-ready hotel. I looked around the room and saw the soft lines of the bride's wedding shoes, and an idea took hold. 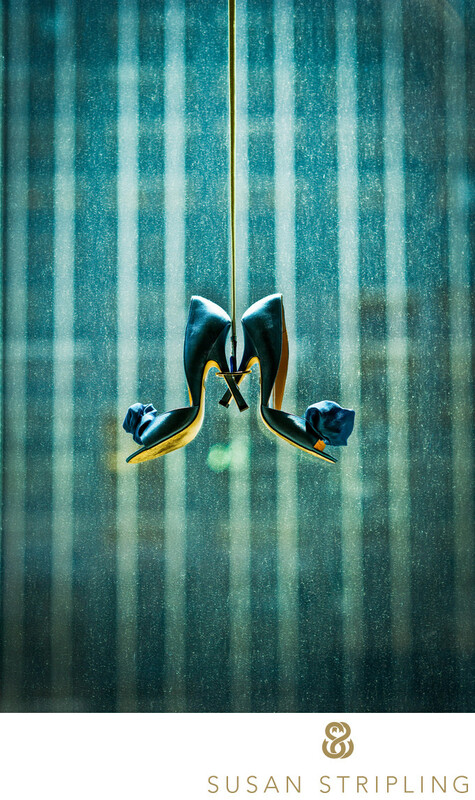 I knew that to suspend the shoes in front of that fantastic skyline I’d need something to hold them in place. I went searching around her suite for something and found a small gold JCrew belt near one of her bridesmaid’s suitcases. I put the heels of the shoes through the belt buckle and had my assistant stand on a chair and hold the belt so that the shoes were floating in front of the window. 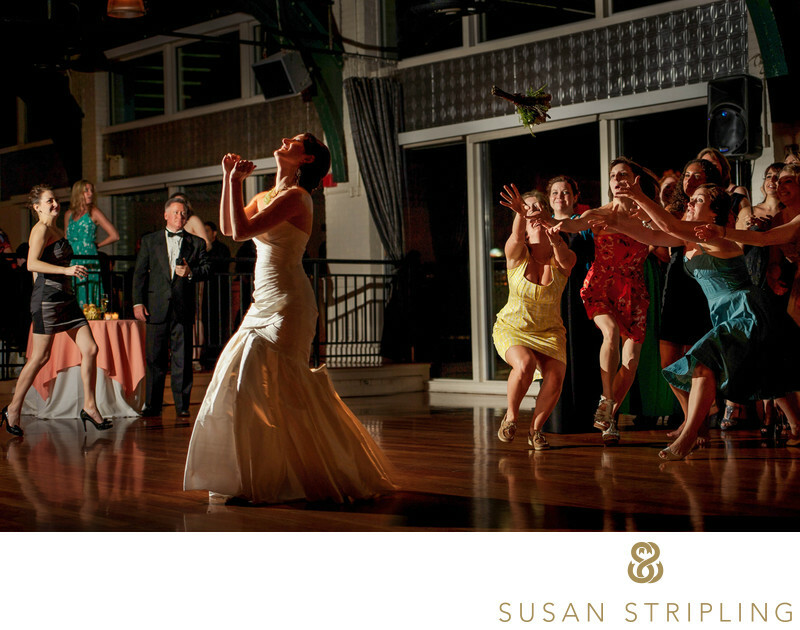 Also from the same wedding, I love the action and reaction during this bouquet toss! Sometimes creativity comes from stepping off a plane in a new city, not sure what the future will hold for you. Sometimes creativity comes with one gold belt and an idea. You never know. As a photographer, my eyes are always open to find something brand new, to show your day in a way that no one else would! Keywords: Lighthouse at Chelsea Pier (63), New York City (207). 1/1250; f/2.8; ISO 200; 85.0 mm.